From time to time we like to briefly revisit a subject we have covered in a past blog by way of a ‘timely reminder’. Here we will be saying a few words about pets and removals that might, just might, have been brought to mind by a recent event with a snarling dog! Dogs are sometimes an object of terror for people visiting another person’s home. Whether they are postmen, electricians or removals specialists, nobody likes seeing a dog adopting its “defend the pack’s property” hostile posture as they try to go about the job. Where humanly possible, dogs should be secured in an off-site kennels in order to minimize the stress and tension they might experience as they see ‘strangers’ enter into their domain and start to apparently dismantle it. If that isn’t possible, they should be firmly secured with a strong leash in an out of the way location and in some cases perhaps muzzled. If your dog is on-site during removals, it may be advisable to consult a vet in order to seek some form of mild sedative in order to keep it calm. Cats can be an entirely different challenge, due to their propensity for disappearing about 2 minutes before the vehicle and our customers are due to depart! Once again, it’s advisable to secure them the night before. 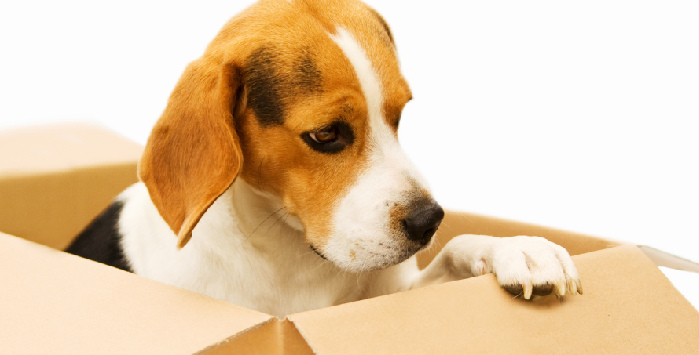 If you have any other pets around the house that you wish to have assistance in moving, do please make sure you discuss that with us in advance so that we can plan accordingly. We’ll state again that most of us here are animal lovers and the comments above are driven only by the need to be practical on your removals day. We have nothing against dogs and cats!